You’ve decided that it may be time to apply for U.S. citizenship, but you also realize that your green card is expired. You’ve heard that you can’t apply for citizenship with an expired green card. Worse yet, the cost to renew your card and then apply for citizenship is too much. Currently, the USCIS fees to renew a green card are $540. Then, the USCIS fees to apply for naturalization are currently $725. That’s $1,265 in fees to do both. For most people, this cost is a barrier to applying for U.S. citizenship with an expired green card. But it’s not mandatory to renew an expired green card before applying for citizenship. 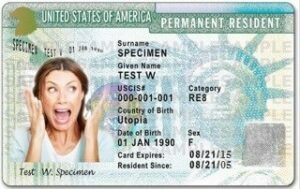 If your green card has expired, you continue to be a permanent resident of the United States. You do not lose your immigration status. However, the physical card that proves your status is expired and generally not valid for most uses. It’s possible to apply for citizenship with an expired green card. Immigration law does not specifically require a valid green card to establish eligibility for naturalization. And although USCIS policy on this matter has changed over time, there is a general sentiment that encourages U.S. citizenship. Every day, many citizenship applicants successfully file Form N-400, Application for Naturalization, with an expiring or expired green card. USCIS has voiced a stronger objection to citizenship applications with a lost or stolen green card. At your Oath Ceremony, USCIS will confiscate your green card and provide you with a Certificate of Naturalization. If your green card has been lost or stolen (or has been mutilated beyond recognition), USCIS recommends that you replace your green card using Form I-90, Application to Replace Permanent Resident Card. Although USCIS prefers that you always have a valid green card, this doesn’t mean your naturalization application will be rejected. In fact, many applicants have successfully filed Form N-400 with a lost or stolen green card. If you choose to replace the green card, it’s not necessary to wait the 10-12 months to receive your new card before applying for U.S. citizenship. 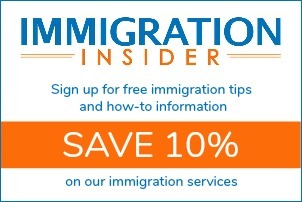 Generally, within two weeks of filing Form I-90 to replace your green card, you will receive a Form I-797C Notice of Action. This Notice of Action is a receipt letter. Once you have this receipt letter, you may file the Form N-400, Application for Naturalization. 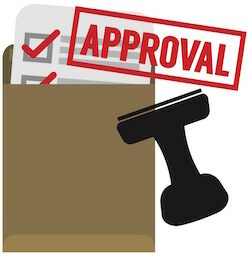 Include a photocopy of your Notice of Action to prove that you’ve started the replacement process. A conditional green card is a very different situation. If you obtained conditional residence through marriage to a U.S. citizen, the initial green card issued to you will last for only two years. The expiration of the green card is in fact the expiration date of the conditional status. Within the 90-day period before the card expires, the conditional resident should file Form I-751, Petition to Remove Conditions, with the spouse. Certain exceptions exist for petitioners that are no longer able to apply with a spouse due to death or divorce. Someone that has gained permanent resident status through marriage to a U.S. citizen can generally apply for naturalization after just three years. But first, the Form I-751 must be filed. If you ask USCIS, they will likely tell you that an unexpired green card is required before applying for naturalization. In fact, carrying valid, unexpired proof of your permanent resident status is required by law. U.S. immigration law does require that every permanent resident carry proof of their permanent resident status. But in practice, it is rarely enforced. There are also some practical purposes to renew a green card even if you’re also applying for citizenship. Valid, unexpired proof of permanent resident status is required to re-enter the United States after traveling abroad. An expired green card is no longer valid for re-entry. Ultimately, it’s the Customs and Border Protection (CBP) officer’s decision to let you enter the U.S. If the CBP officer is not satisfied for any reason that you are a permanent resident who has met the applicable obligations, he/she may deny entry at his/her discretion. In the best cases, you will be subject to a major delay and possible re-entry fee. Guidelines will vary by lender, but most mortgage lenders require a current, unexpired green card before they will let you borrow money for a home. Since it can take 10-12 months to renew an expired green card, the delay typically ruins your chance at purchasing the desired property (or re-financing). Many states will not renew a driver’s license without proof that you have permanent resident status. The Department of Motor Vehicles will request a valid, unexpired green card as proof. Again, it can take 10-12 months to renew an expired green card. If your green card has already expired, this could also result in a loss of driving privileges during that wait time. Employers are required to obtain proof from employees that they have the right to work in the United States. As a permanent resident your proof is the green card. A permanent resident can generally work anywhere. But without a valid, unexpired green card, it is difficult to prove your right to work. Most employers will not wait for you while you renew your green card. There are plenty of reasons to keep your green card up-to-date and current. Learn how an Expired Green Card Creates 5 Big Problems. Thus, if you are considering U.S. citizenship, file Form N-400 before your green card expires. It will prevent the other complications associated with not having valid proof of permanent resident status. The best way to avoid the issue to is to apply for citizenship now. Green card renewal fees continue to rise. And the cost to maintain your green card over a lifetime can easily reach thousands of dollars. Try this citizenship cost calculator to see how much you’ll pay over a lifetime.